The HTC M7/One events in New York and London are about to kick off, and I’ll be doing my best to stay up to date with all of the details as they emerge. If you happen to be awake, please follow along with me and leave a comment so I know I’m not all alone! 02:50 – Aaaand we’re done. BUT WHAT ABOUT UBUNTU? And surely “New Sense” is a joke name. Say it quickly and you’ll see what I mean. Anyway, thanks for sticking around. It’s been emotional. 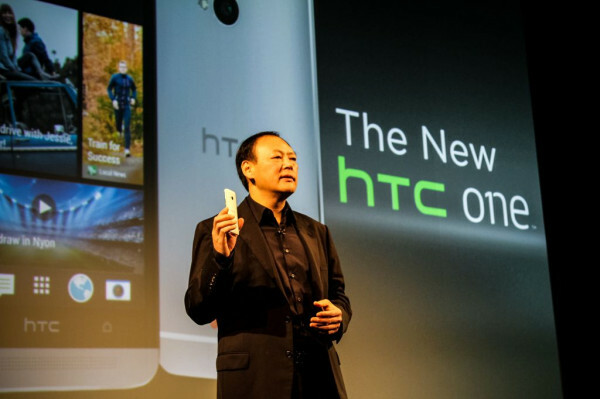 02:48 – HTC trade in program. Register at HTC.com and trade in your current phone to get $100 toward an HTC One. 02:47 – The phone will come in silver or black, in 32GB or 64GB. I assume the ‘no gap construction’ thing ruled out removable battery and storage. 02:39 – BOOMSOUND! Two front-facing speakers for stereo. 02:38 – There’s a Vine clone called “HTC Zoe” – basically short sharable video clips, with hipster filters!!!!!!!!!!! 02:37 – larger pixels than conventional sensors, meaning better low light performance. Meanwhile they’re still talking about BlinkFeed in London. Very distracting. Seriously though, it sounds like a pretty ‘meh’ feature. 02:36 – You can switch between the front and rear cameras with a swipe gesture. HTC saying that megapixels aren’t important – “the megapixel myth”. The era of the megapixel is over! “We’ve developed our own technology, called the UltraPixel camera. 300% more light, ghostless HDR and HDR video”. 02:35 – Sense TV – IR blaster to control the TV, receiver etc. Reminds me of my Sony Tablet S and walking around trolling in electronics stores. 02:33 – Two dual-membrane microphones for high quality audio recording. Apparently you can even record amazing audio at a concert. “Sense has been completely redesigned”. It looks like you can only fit 12 icons on the home screen (a 3×4 grid). What’s with that? 02:30 – I’m trying my best to resist the temptation to read the spoiler articles already being published. Seriously, why don’t they lift the NDAs after the press event so people can’t just go in and read about all the specs and features during the announcement?! 02:28 – The Blink Feed thing seems pretty underwhelming. Like we said, it seems very Windows Live Tile-esque, with Flipboard-like content built in. 02:27 – Peter Chou is on stage in London now. 02:25 – A guy from ESPN is on the stage now talking about their partnership with HTC to bring content to sports fans. 02:22 – “I’m proud to introduce to you the new Sense… clean, modern sign… a new experience called Blinkfeed – a stream of social, news, info… it’s like Flipboard for your homescreen”. 02:21 – Courtesy of my bootleg stream of the event, I can hear the conversations of the people in the room. Apparently it’s “very warm in [t]here” and the internet connection is “very slow”. 02:18 – And we’re off! HTC’s president Jason MacKenzie is up on stage talking about the company, then finally “I’m proud to introduce you to the new HTC One”. 02:13 – “Ladies and gentlemen, please take your seats. The event will be starting shortly”. 02:11 – Still waiting. Word from those at the event is that some people around them are openly using the device. 02:02 – Looks like HTC is running a bit late. Same goes for their announcement. Ooh deep burn! Was there an announcement of 4G? According to all hand-on video on youtube, it will come with 4G LTE varient. I don’t know about other carrier but for Telstra, they won’t release any new handset without 4G LTE. Telstra has confirmed it will come to its network with 4G variant. @Hikari0307: 64GB is enough so there is no need for SD. This is perfect phone for me because it has design of iPhone 5, Android OS. Again, no expandable storage, HTC just made it easy for me to decide not to buy this. New Sense? More like Nuisance, amirite?! I saw all three carriers logos up on the screen, although you never know with Vodafone, being multi country and all that. I’m a Nexus man through and through, but like you, I’m interested in seeing what they’ve been cooking. Do you reckon they will have 2 player snake?